McKenzie Wofford is a 2017 graduate of the University of Oklahoma. 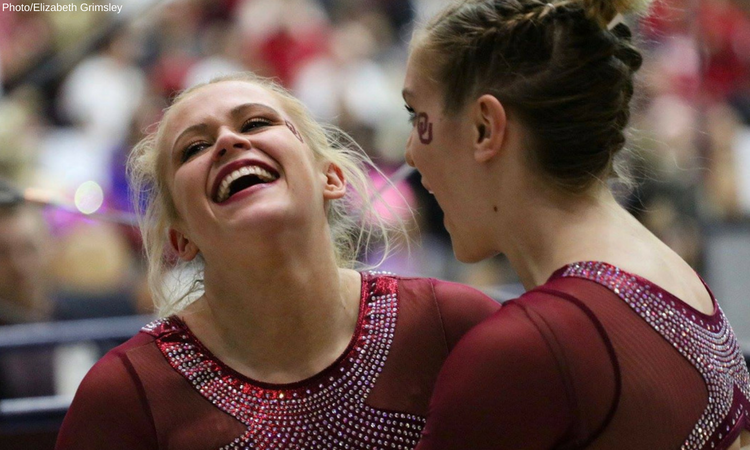 She was a staple in the bars lineup all four seasons with the Sooners, scoring a career high 10.000 in her final regular season meet. Wofford was a three time first-team All American on the event and consistently ranked within the top five bars workers in the nation. 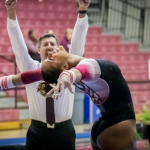 She also continued to train beam throughout her time in Norman, earning a career high 9.925 her freshman year but mainly performing exhibitions throughout her collegiate career. She was also a member of all three teams that earned Oklahoma’s current championship titles. She is known for competing with severe scoliosis, recently undergoing major correctional surgery, and is currently working at Dell. McKenzie Wofford: I kept pushing for the beam lineup because it was an event that I truly loved to do and did not want to stop training. Beam was such a thrilling event to me, and I loved trying new skills and combinations. I also feel like I matured a lot mentally my senior year, which is why I had such a knock-out routine at TWU. It was definitely a highlight for me. I think my scoliosis did play a little bit of a role on beam at times because I was so off balance, and I would just naturally adjust. So basically I would be throwing my skills crooked to stay straight, if that makes sense. CGN: You were a member of Oklahoma’s first national championship team. What did that moment feel like? MW: It was indescribable. One of the reasons I was drawn to OU was because it had never won, and I wanted to be a part of history. The drive and determination that team had was amazing; we all had a goal in mind and all wanted to win for each other. With it being such a close competition, I think it made it that much more exciting. CGN: You had scoliosis surgery shortly after your senior season. What was it like competing with scoliosis? Why did you decide to have the surgery at that point in time and how much has it improved your life? MW: I ended up having my scoliosis surgery after my senior year of college because I knew I wanted to finish my gymnastics career. From my freshman year of college to my senior year, it actually got about 35 degrees worse. When we visited my doctor in Austin the summer before my senior year, he told me that I had to get the surgery at some point in my life, and the longer I waited, the harder it would be to recover. I knew I was going to go to grad school and not get a job, so the summer after my senior year seemed like the perfect time for me to get the procedure. Getting the procedure has improved my life tremendously. I was having days before surgery where it would hurt 24/7 on normal activities. It would even hurt to sit and sometimes breathe. Along with that, it was starting to deform my heart. I am now completely pain-free and almost doing everything completely normally again. It also helped me appreciate my body more. I used to be embarrassed of how my ribs would pop out so unevenly and would try to hide my body constantly. Now I walk proud and love to show off my scar because I believe it shows strength. CGN: If you had to give advice to young gymnasts with scoliosis, what would you tell them? MW: I would start by telling them to NEVER be ashamed of their body. It does not make you any less beautiful just because you are built a little differently than someone else. I would also tell them to really keep an eye on it. If my scoliosis would have been watched better, the surgery could have possibly been prevented. 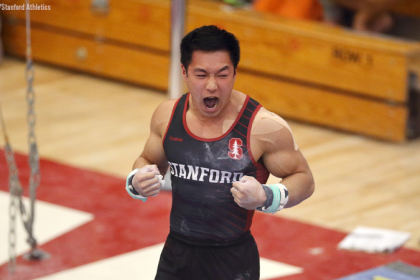 Along with that, if surgery is recommended, know you can actually start doing gymnastics again a year after surgery, so it is not a career-ending procedure. With how far technology has come, they even have a less invasive surgery that you can get if your curve qualifies for it (mine did not). Also, never be scared to tell people when you are in pain because a lot of pain can be prevented if you just speak up. Always feel free to ask me any questions! CGN: What drew you to OU, and what do you miss most about it? MW: Like I said above, what drew me to OU was how bad it wanted to win its first national title. Along with that, the way the campus felt so much like home really drew me in. I actually still live in Oklahoma, but I would say I miss traveling with the team the most because that is when we truly bonded. Those girls were sisters to me! 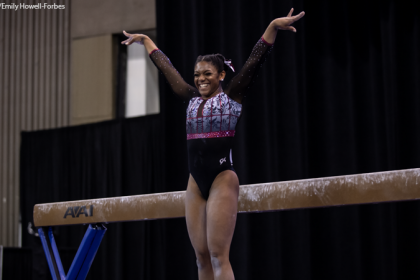 CGN: Do you see yourself returning to gymnastics in a non-athletic role? MW: As of now, I don’t really see myself getting back into gymnastics. If I did, it would be for privates or camps. I lived gymnastics and am thankful for all of the opportunities it gave me, but it was time for me to move on and broaden my horizons a little bit. CGN: What are your future career aspirations and goals? MW: I am currently working as an inside sales representative at Dell and am super excited to see where this job takes me. 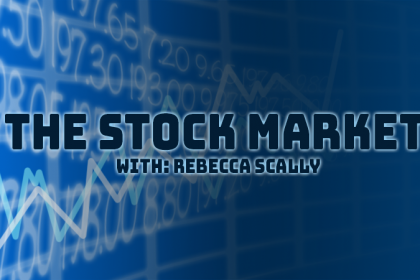 As a company, Dell has so much opportunity for growth, and the atmosphere really drew me in. I hope to be back in Austin within the next year as well.